The club holds a list of members with puppies for sale. The Secretary , Sussie Wiles maintains the list. Both parents of puppies must be hip scored and have an up to date eye certificate before they can be listed. Breeders - please send details of your litter, Sire and dam, DoB, colours, Health certificates to The Hon Secretary. 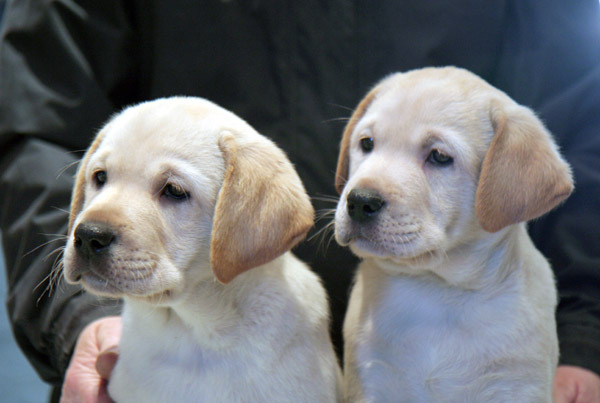 The Yellow Labrador Club are very pleased to be working alongside Agria Pet Insurance to bring you the opportunity to join the Agria Breeders Club. Enrol to offer the new owners of your puppies 5 weeks free insurance which can help to protect them in their first weeks at their new home. The good news is, for every free policy that is converted into a full policy, a reward is earned both by yourself and our club. If you are looking for a puppy contact the Secretary, Sussie and she will put you in touch with breeders who have puppies.